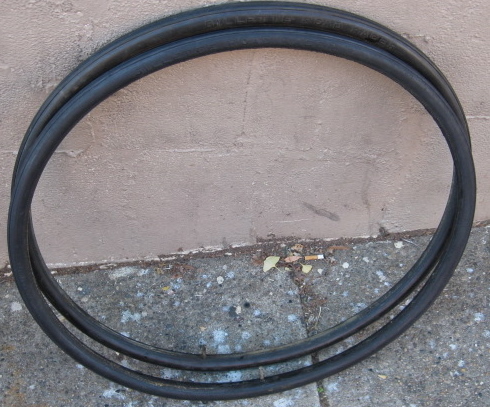 Gillette Road Racer tires were single tube pneumatics for early racing bikes. 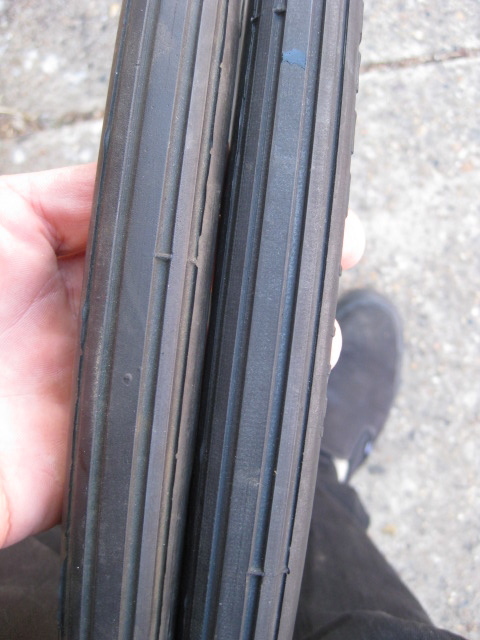 They are 28″ x 1 1/8″, in modern terms 700c x 28mm. They were regularly found on prewar Schwinn Paramounts and other early race bikes. 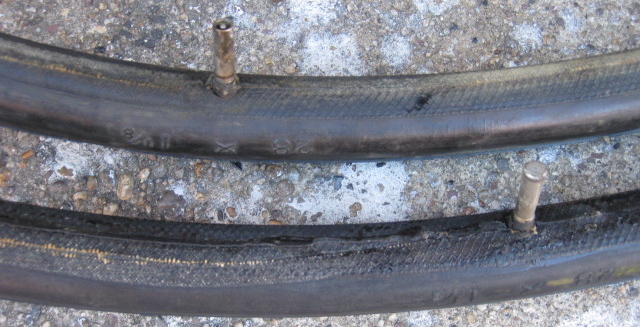 Single tube pneumatics like these were the early version of the air filled tire, introduced in 1889 by Dunlop, and were tubeless, and a puncture would be plugged, like modern car tires. awesome post… will help me a lot,it is Exactly what I was looking for! Thanks.